Minutemen on the eve of the release of "Double Nickels on the Dime" at Project Space in Eugene, OR. 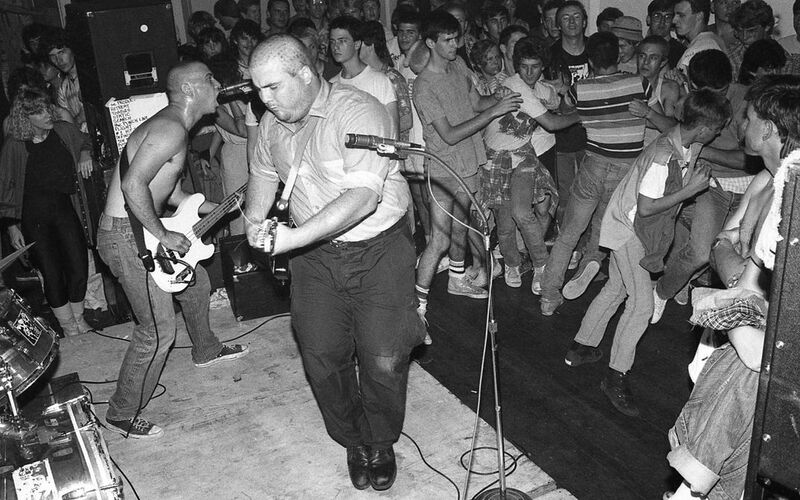 D Boon dancing. Mike Watt speaking. Date Uploaded: Dec. 2, 2015, 12:07 a.m.